How Do You Recognize What is a Crisis for Your Child? • Notice mood changes. If you have a usually gregarious child who has been blocking everyone out, something is probably on his mind. • If you have a more reserved child, but they seem scattered and disorganized which is out of character, again pay attention. • New experiences such as new school, new grade, new camp, new extra-curricular activity may take a while to adjust to. Help your child be prepared for these changes in any way they feel helps. Be available and see how they are adapting to the changes, even good ones. • Changes in friendships can be a big blow. It's hard for some kids to bounce back from betrayals, disappointments, and feeling they don't belong with a friend anymore. Maybe they can work it out with your help or you may be needed to help them tolerate the change. • Parents' dynamics affect kids maybe more than you think. When kids listen to arguments or see their parents aren't speaking as usual, they absorb the tension. While it's hard when you're under that stress, be mindful of your child's reactions. How Do You Know What Stresses Your Child Out? Every child is different not only due to their stage of development but due to their coping styles. Is your child super organized, generally a procrastinator, kind and empathetic, highly charged and motivated, or laid back and easygoing? If that general way of being seems to be changing for better or worse, they may be undergoing a stressful time. • Keep in touch with your child in daily easy going conversation so they're more apt to clue you in when stress is mounting. • Early intervention is the key before it spirals upward. Gently notice that your child seems out of sorts and ask if they want to share something with you. Then let it go if they are not immediately responsive. They may need to come to you when they've absorbed your offer in their own time. 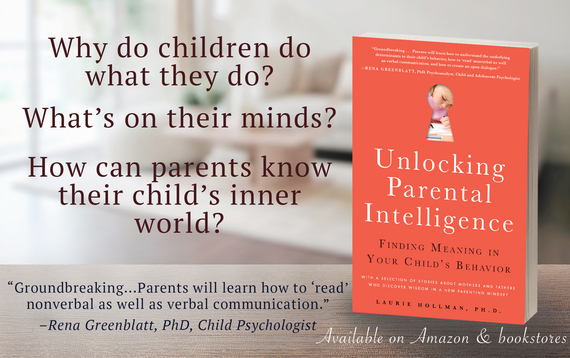 • If your child seems unusually irritated, arguing easily about small matters, crashing about aimlessly, easily angry and belligerent, consider this is a sign of stressful times, not bad behavior. How Do You Make It Clear that You Are Available Anytime to Listen and Talk? • Sometimes offering to talk is not the best way to let your child know you are on their side. They may just need you to first just offer to listen as a sounding board without offering any fast or direct solutions. • Trust your child to work out their quandaries in their own way and in their own time. Telling them you have faith in their judgment goes a long way. It even helps them open up because they feel validated. • Sometimes you need to change your plans and stop what you are doing because that's the moment your child is frustrated and tense enough to come to you. It's worth upsetting your schedule to be available when your child is in a crisis or just stressed out. This makes a strong parent-child bond.